I have learnt to take the bad days with many pinches of sugar and laughs all around, albeit after a few stomps of annoyance and sighs of frustration. Or how else am I going to get through the day without breaking down and wishing I had magical powers that could solve my trivial problems with a flick of a wand!? Last Thursday was no exception. First error - assuming the bus came every hour. Followed by - frantically calling a friend to check out other bus and train times since I had no easy access to the timetables. All the while doing that walk which resembles the in between state of 'should I walk or should I run' indecision, coupled with battling with my umbrella as the down pour of rain continued! Trust me, my serious problem of assumption caused more troubles a few hours later. While assuming (again!) that a certain bus would get me to my appointment place I happily (or looking back, 'ignorantly') got on only to see it go the opposite direction. Well, I was left again sighing with frustration and wishing I could teleport over, however, more realistically I relied on my own two legs as I walked the rest of the way there. I certainly did get my daily exercise, if not more! In an ironic way, the trousers I wore that day (above) had always reminded me of happy pleasant days, maybe the floral print is at works there. Nonetheless, it will still remind me of happy days even though that Thursday was crazy and hectic as it meant I learnt one thing, never assume! So, by default these florally oriental trousers are my happy trousers. On a style note, to tone down heavy prints or to showcase them it is best to wear neutral colours and more simple cut pieces. Or I find that the outfit just becomes too overwhelming. On another note, I have just fallen more in love with the Archers. I had allows known aesthetically the boots would be a great buy. However, the functionality was an area I still had doubts in. Well, that Thursday sure put an end to those doubts. With the amount of walking I did that day the shoes held up in terms of comfort, while also keeping my feet dry (no one likes drenched feet for the rest of the day)! Where is the bag from? I've been looking for one like that for ages! The bag came with a Vogue magazine I bought quite a few years ago! It is the best everyday bag, especially for uni. 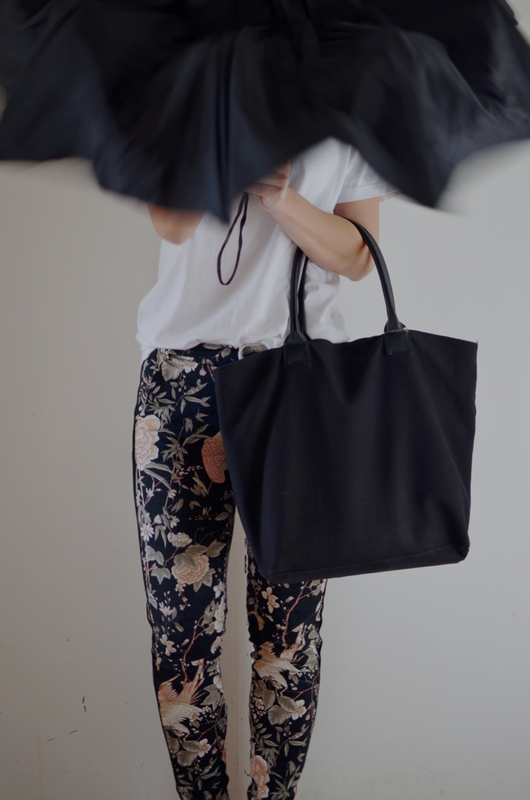 If you are looking for something similar check out Everlane's Tote collection. It is probably going to be the first thing I buy once they ship internationally (only ship to America & Canada, now) because I have just about to wear this one out! Hi, thanks for the reply. I'm in the UK so Everlane isn't an option I'm afraid! 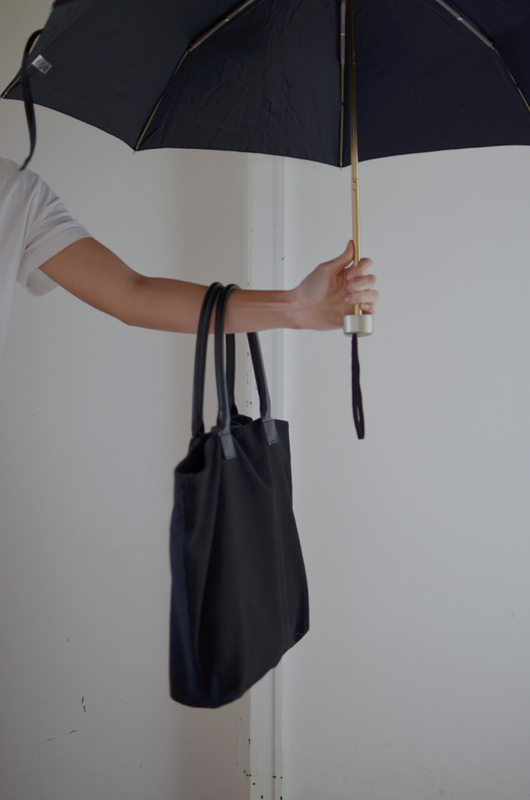 You tote looks similar to the ones by WANT Les Essentiels and Mismo. Yes, it does look very similar. It is actually quite hard to find bags that are more rectangular in that orientation. There seems to be a lot of long 'up to down' bags which I find harder to carry! Hopefully that makes sense! Is the orientation one of your major factors? Yes, I much prefer the shape of those bags! I believe the ones I linked also come with a detachable strap so it can be used as both a tote and messenger bag. Have you come across Cuyana? Their tote shape are just spot on! However, it is entirely made of leather, not sure if you just wanted canvas body and leather handles.